Tuff Country EZ-Ride Suspension's & Daystar's suspension truck & suv lift kit give additional clearance for larger tires for trucks and SUVs. 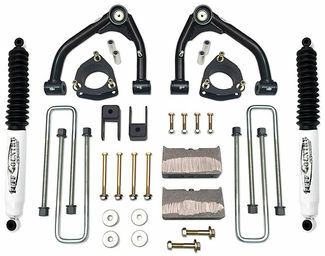 Suspension Kits ranging from 2" affordable kits to high end 6" kits. We also have other methods to lift your vehicle. Get your truck or suv in the air with a suspension kit from top brands like Tuff Country EZ-Ride Suspension and Daystar. These kits will raise your vehicle anywhere between 2 to 6 inches depending on the make and model of your vehicle. WHY SHOULD I LIFT MY TRUCK OR SUV? 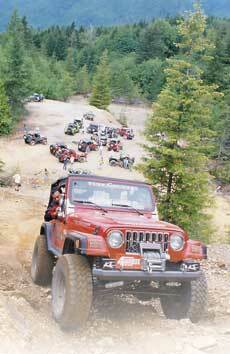 Many people lift their vehicles to fit larger tires to gain additional ground clearance for off-roading purposes. Some are looking for additional ride and handling performance associated with some suspension lift kits like the popular Dodge Ram long arm lift kits. You may have an older truck or suv with aging suspension components like leaf springs, coil springs, etc and would like to gain some additional height when replacement those parts. Others install suspension lifts simply because they like the look of a lifted truck. This mostly depends on the make and model of your vehicle. Generally early model vehicles (early 1970s thru late 1980s) equipped with front leaf springs or coils springs are fairly straightforward to lift and usually involve replacing the old springs with newer springs with a larger arch. Later model trucks and suvs have mostly gone to an IFS (independent front suspension) type of front ends. These are usually more labor intensive, especially kits 4 inches or above. A common question when lifting a truck or suv is how it will affect my ride. 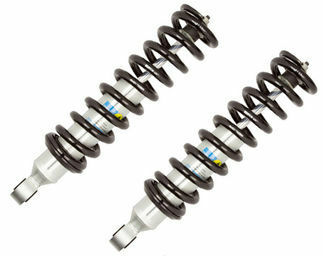 This depends largely on the type of suspension, condition of your existing components and size of lift kit. 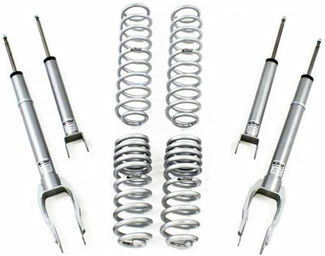 Trucks using leaf springs or coils will generally see their ride become a little stiffer than stock, however if the stock springs are in poor condition you could actually see an improvement in ride quality. Most vehicles with IFS suspensions (most later model trucks) will see little or no difference in ride quality regardless of the size of lift. Be aware that when lifting a truck or suv that many times additional parts (shocks, etc) may be required. 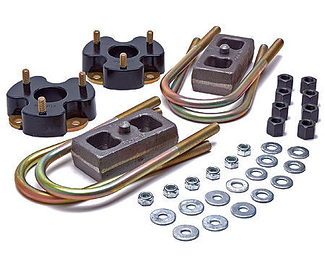 Because you are extending the travel of your shocks when installing a kit many times the factory shock absorbers will no longer reach (usually anything above 2 inches in height) the existing shock mounts. To avoid damaging your truck and affecting your ride we will always recommend new extended shocks for any lift kits that require them to be changed. A small amount of kits will require other parts (carrier bearing drops, extended drive shafts, etc), these are also noted when required. Lastly most lift kit manufactures recommend you have a front end alignment done anytime you alter your suspension with a lift or leveling kit.